One of the most numerous, reliable, and varied cars on the road, the 2015 Honda Civic in Dayton, OH. is an easy pick to get a quality car at a low price. Having been released in the later half of the 20th century, Honda Civics have enjoyed being one of the top selling cars in the US, even taking the most sold vehicle in the country for a short time in 2008. Few models are as versatile or as low maintenance as the Civic, yet it also provides good fuel economy and its slew of available perks also means it can provide a lot of comfort and utility. With plenty of interior space, providing ample head and legroom for both passengers and driver, the Civic provides a spacious feeling, while its tight handling and small frame lead to easy driving and parking, even in the most cramped spaces. Despite the small frame, however, the trunk also provides good cargo space for whatever needs to be stored. 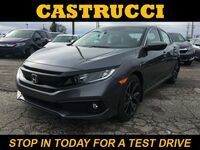 Check out the trims and models available at Castrucci Honda. 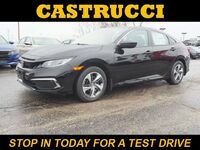 Interested in a 2015 Honda Civic? Honda produces seven different types of the 2015 Civic. The variety means it provides a little something for every customer. 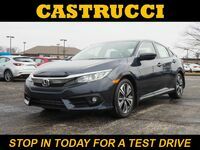 It provides a base 2015 Honda Civic in Dayton, OH. But it also has a sporty model, a hybrid, and even a model that runs on natural gas. And while they are all varied, they still preserve the core concept of what Honda seeks to present, an affordable, fuel efficient car that also provides a comfortable, safe, tight ride. 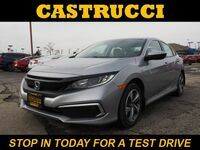 There are multiple trim levels across all the models, offering plenty of customization to fit whatever needs, whether it be a base model, or a luxury trim level. Honda continues striving towards bettering its consistently reliablequality sedan and the 2015 models are no different. 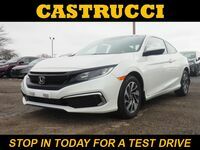 And by providing a vast array of vehicles in terms of energy source and luxury, the 2015 Honda Civic in Dayton, OH, is the right answer for many customers look for a great driving experience. * Based on 2014 EPA mileage ratings. Use for comparison purposes only. Your mileage will vary depending on driving conditions, how you drive and maintain your vehicle, battery-pack age/condition and other factors.